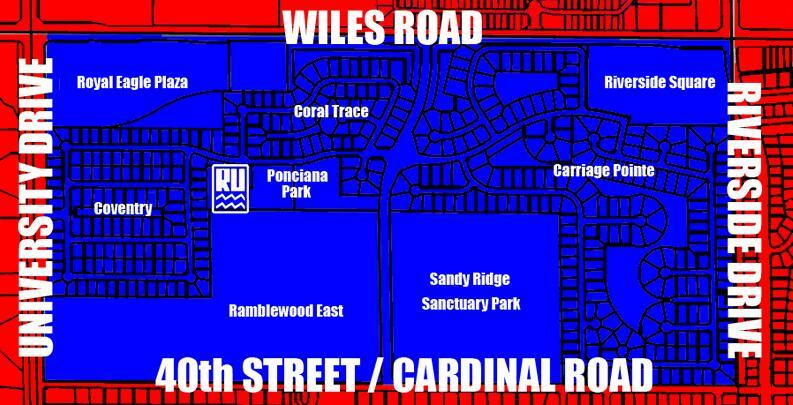 Royal Utility Company is one of four separate water service providers in the City of Coral Springs. We only provide service to the neighborhoods of Coventry, Coral Trace, Carriage Pointe and Ramblewood East. Additionally, we serve the Royal Eagle and Riverside Square commercial plazas. Please refer to the service area map below to ensure that you are our customer before contacting us for service inquiry.